Alta has been named City of the Northern Lights, and for good reasons. We can track the Northern Lights research in Alta all the way back to the French "Le Reserche" expedition in 1838. Alta is located just below the Aurora Borealis Oval, and because we have an inland climate and often clear weather, Alta is the perfect destination for experiencing the amazing green flames on the night sky. This tour is all about Northern Lights hunting and you'll spend the almost 4 hours finding the best location for Aurora viewing. We start the trip in our Explorer Store, were we will give you an understanding of the phenomenon. After an informative start on the evening we will head out in our comfortable Highline Mulitvan. Alta has been named City of the Northern Lights, and for good reasons. On this trip we will walk from the city center and head down towards our fireplace near the sea. Here the guide will serve you hot drinks and snacks, and tell you stories about the Northern Lights while we waiting for the Northern Lights to dance on the night sky. Two nights in double room including breakfast, airport Shuttle and one night hunting the Northern lights by car. Alta has been an important place for northern lights research through ages. Here is some of the research that has been done on the fascinating phenomenon in Alta. One of the first northern lights research was made by the Le Recherché Expedition, commissioned by the French king Louis Phillippe. A group of explorers from the expedition wintered in Alta in 1838. Their mission was to definitively determine the altitude of the Northern lights. 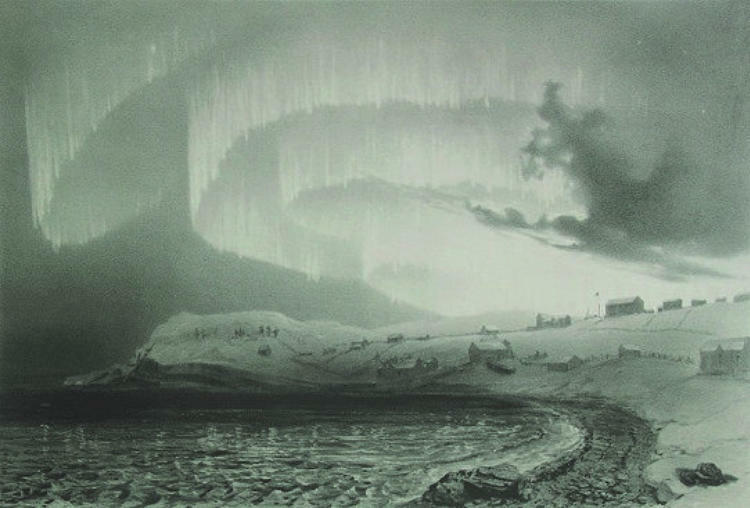 This was before the exsistence of cameras, so their technique involved making drawings of the Northern lights from two different geographic points, witch they would then analyse in order to determine their altitude. The gifted artist Louis Bevalet took part in the expedition, and created a large number of drawings of the lights - but the team`s effort to calculate the hight of the lights were unsuccessful. A major scientific breakthrough was made by the Norwegian scientist and professor Kristian Birkeland. He organized several expeditions to Norway's high-latitude regions where he established a network of observatories under the auroral regions to collect magnetic field data. During an experiment Birkeland noticed that an electron beam directed toward a magnetised terrella was guided toward the magnetic poles and produced rings of light around the poles and concluded that the aurora could be produced in a similar way He developed a theory in which energetic electrons were ejected from sunspots on the solar surface, directed to the Earth, and guided to the Earth's polar regions by the geomagnetic field where they produced the visible aurora. This is essentially the theory of the aurora today. 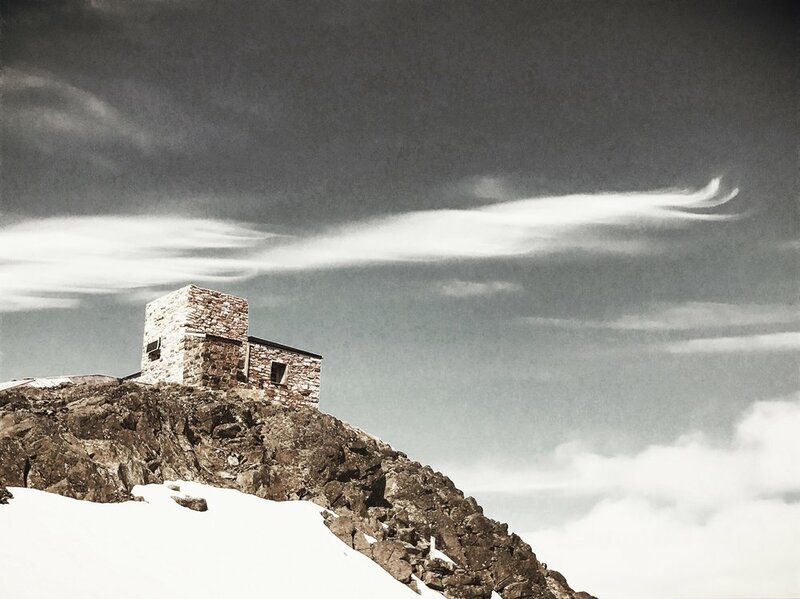 In September 1899, the Construction of the world`s first permanent northern light observatory was completed at Halddetoppen, a moutain peak outside of Alta, rising 904 meters above sea level. At that time, a preferable location to observe this magic phenomenon. At the same time, another station was built at Talviktoppen peak, about five kilometers from Halddetoppen. The aim was to observe the Northern lights from these two peaks in order to calculate their altitude.In the Winter following the completion of the observatory, Birkeland and his Research team spent the season on Mount Haldde. In Norway, it's a myth that says you should never wave to the northern lights with something white, like a napkin. Then the northern lights would come and take you. This was used to scare the kids to stay close to their home and not wander so much around at night. 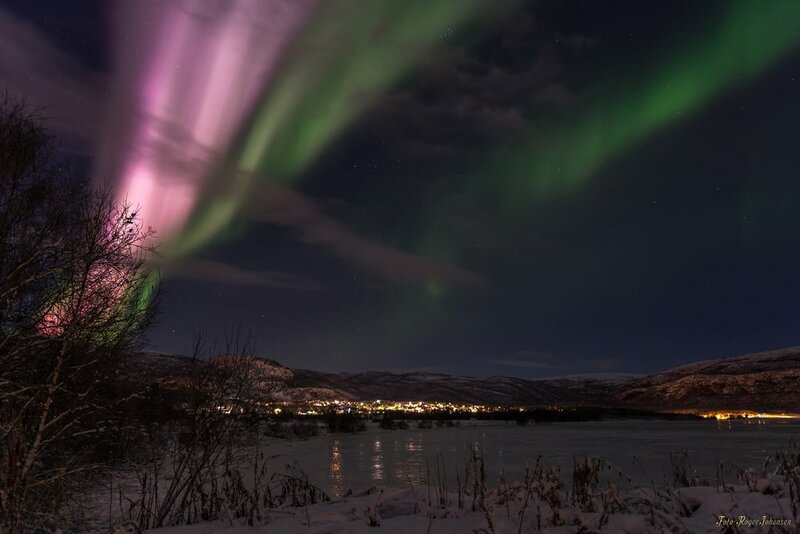 Both in Scotland and Sweden, the northern lights were linked to joy and dance. Therefore, the Northern Lights were called "The Merry Dancers" in Scotland and Polka in Sweden. In Sweden, it was thought that the Northern Lights were a warning of good herring fishing (Swedish: Sild). The Swedes thought that the Northern Lights were a reflections of big collection of herring that swam to land. Therefor, the Northern Lights in Sweden were often referred to as "sildeblixt". What time of the year can we see the northern lightS? In Alta it is possible to see the Northern Light from end of August to mid- April. To see Aurora Borealis dancing on the night sky, it must be dark enough. We also need Clear weather. In Alta we often have Clear weather and it's one of the places in Norway with the least precipitation. The northern light is formed by electrically charged particles emitted from the sun. When these particles hit the atmosphere of the Earth and collide with atoms and molecules, the northern lights occurs. how can we take Pictures of the Northern lightS? To get good Northern Lights, you are dependent on having a SLR caerma and a tripod. You must be able to set shutter speed, ISO and light sensitivity. Our guides will assist you with camera settings on our tours. Can you guarantee the Northern lights? We can not guarantee northern lights on our tours. Here in the arctic it is nature and weather that determines, as it has been doing for thousands of years. Our guide will nevertheless give you a memorable and informative evening.